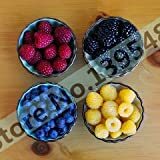 Fruit color can be: blue and sometimes black or purple, when pick the raspberries fruits the fruits are going out and the torus stay on the branch, fruit assembled from small cells that put together a round shape (circle / oval). When is the best time to prune a Blue raspberry shrub? What is the size of a Blue raspberry shrub? What can be done with big quantities of Blue raspberry fruits? 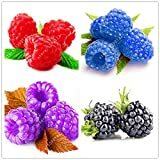 How to make Vegetative Reproduction in Blue raspberry? 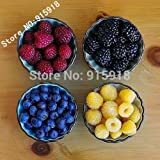 What is the treatment for vegetative reproduction in Blue raspberry?